Open and support the liftgate assembly. Remove the rear window wiper arm assembly. Refer to Rear Window Wiper Arm Replacement. Remove the rear liftgate trim finish panel. Refer to Liftgate Trim Finish Panel Replacement. Disconnect the rear window wiper motor electrical connector. Pull the rear window wiper motor inward from the rear liftgate. Release the wiper motor pivot shaft from the rear window wiper motor window grommet. 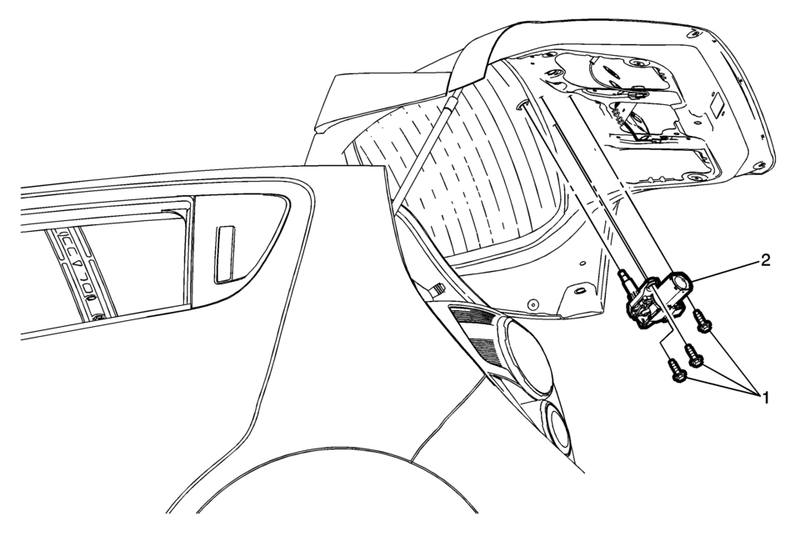 Carefully remove the rear window wiper motor from the liftgate inner panel assembly.